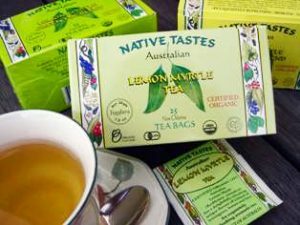 Native Tastes produce a range of organic tea products from certified 100% organic Australian Native Lemon Myrtle Tea. Lemon Myrtle is the world’s richest known natural source of citral (90-98%). The essential oil in the Lemon Myrtle leaf is highly anti-microbial. 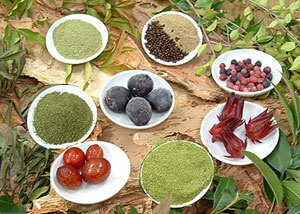 Barbushco is a family owned business dedicated wholly to preserving the art of traditional Australian bush foods. We are a Certified Organic farm. located in the picturesque Lorne Valley, some 40km south-west of Port Macquarie. A large selection of lemon myrtle products. Bush Flavoured Italian style pasta. A dynamic range of sauces and syrups. Jams and spreads that will set your taste buds alight. We have always strived to include a unique local influence in our produce and the fruits of this are borne out in products such as Dorrigo Pepper, Davidson Plum Chilli Sauce and Lilli Pilli Jam. Like all of the Barbushco range, these truly vibrant flavours have been achieved through many years of refinement and an exceptional understanding of Australian flora. Simply put, we’ve taken a great product and made it even better. Food and Technology teachers are constantly telling us how difficult it is to source high quality classroom resources for the Bushfood section of the Curriculum. Barbushco now offers a range of bush food teaching aids which includes a DVD, posters, and product packs. Download the Bush Food Teaching printable flyer with info about content, prices and ordering details.